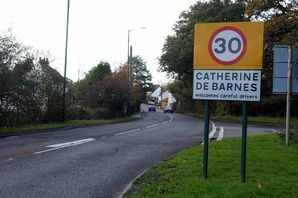 Solihull Council said it had received a number of letters against the plans to build a 4,000-plot Muslim burial ground in the village of Catherine-de-Barnes. Local people said the development was inappropriate and would cause traffic problems in the village. More than 900 people have signed a petition against it, campaigners said.